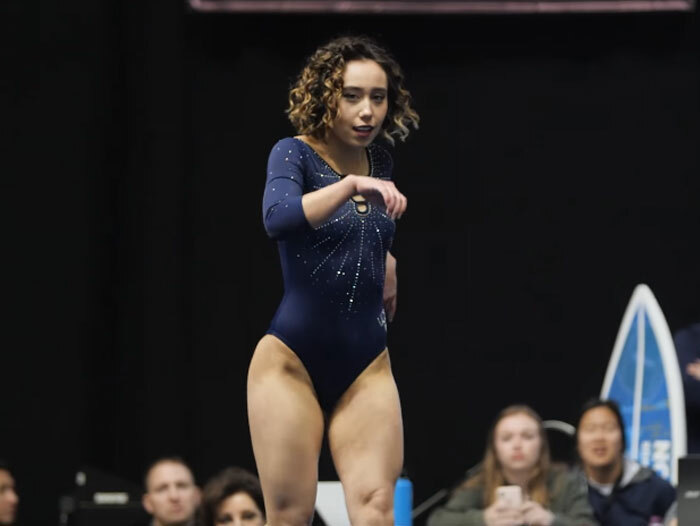 Even though people say that you should be ‘dancing like no one’s watching’, Katelyn Ohashi, a UCLA gymnast, tried out the “dance like the whole world is watching and then rewatching it again” approach. And she delivered. 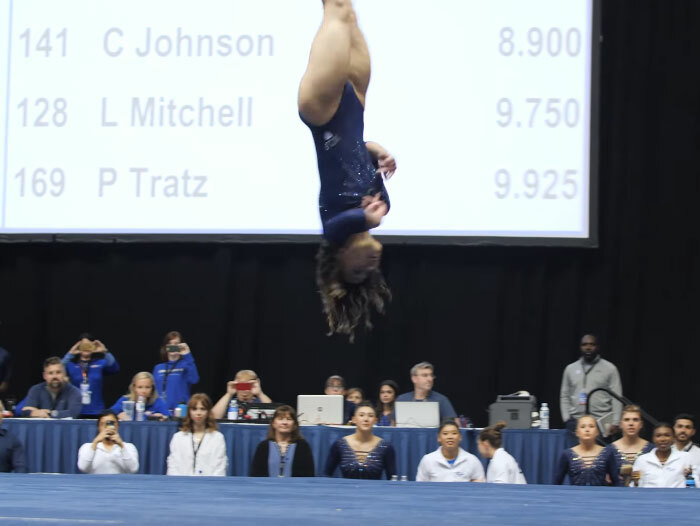 During Saturday’s Collegaite Challenge in Anaheim, California, Katelyn entered the stage and delivered such an electifying performance, filled with flips and splits and everything else that belongs to the world of gymnastics, that it makes sense that her team mates didn’t stop smiling and cheering. Well deserved, Ohashi got the best results and helped UCLA to win at the tournament.